Villa la Bianca Relais is not just a charming Bed and Breakfast Guest House but, as we love to call it, is your home in Versilia.Since the opening,in 1999 this is what thousands of people have felt after spenting two days or even a month by holiday. The big park with the two pools with salt water, the rooms, all different from one another, well-finished, with charming and tasteful furniture, the magic moment of our breakfasts, everything contributes to make your stay at Villa la Bianca unforgettable. Sandro and Elga, the owners, are full of attention and for their guests. They will welcome you as soon as you arrive and give you a tour of the antique Villa. The first thing you'll appreciate in Villa la Bianca is the love and the taste with which the rooms have been furnished. There are antiques, chosen over the years with passion and all together they create a warm, refined and unique location. Elga will spoil you during breakfast, she prepares tasty cakes served under a romantic glass porch with the shade of majestic plane trees. 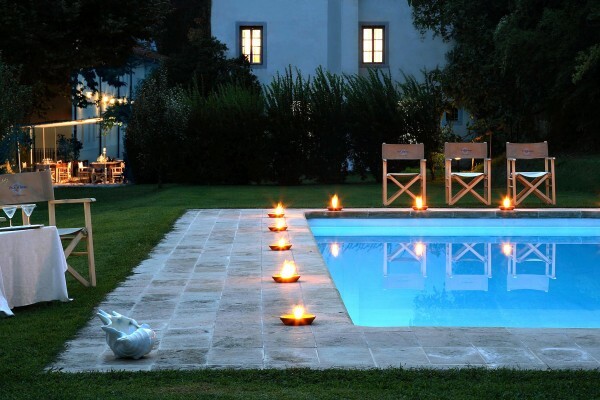 If you are looking for charming and relaxing stays in the sign of happiness and good taste, in a magic and enchanting place, Villa la Bianca is the right place. Antique furniture, 19th Century prints hanging from the walls, precious fabrics: every detail adds its contribution to make this room incredibly romantic and elegant. This charming and elegant suite consists in a big living room with a modern sofa’, tv, modern libraries and a drawing room leads to the bedroom,a warm separé where you can have some time for yourself.Furnished in a calming style, it includes a beautiful double bed, bathroom with shower. It consists of a large living room with fire place and tv; a double bedroom with four poster bed, fire place and drawing room area, bathroom with shower. Separated by a door there is the large double bedroom with a typical four poster bed, bathroom with shower and a comfortable drawing room area with desk,sofa and chairs. 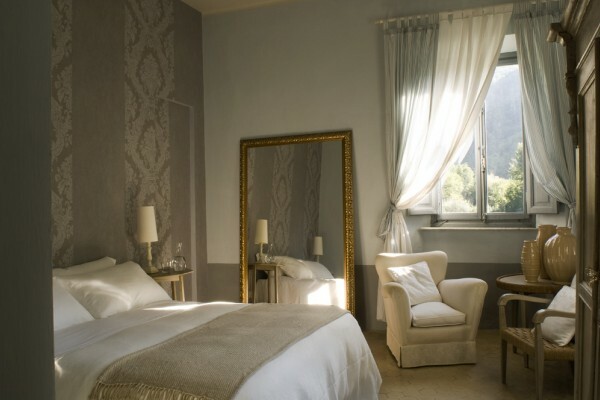 The room has a traditional taste, and you can feel the typical atmosphere of the elegant Italian country houses. This suite is a charming and romantic hide a way, the perfect place to spend your holidays, in a late 19th Century atmosphere.It consists of a large living room with Carrara marble’s fire place,sofas and tv, while the bedroom consists of a double bed and a bathroom with shower.Decorated in a 19th century country style, with typical prints hanging from the walls and a practical, comfortable antique desk. No experiences yet with Villa la Bianca. Be the first! 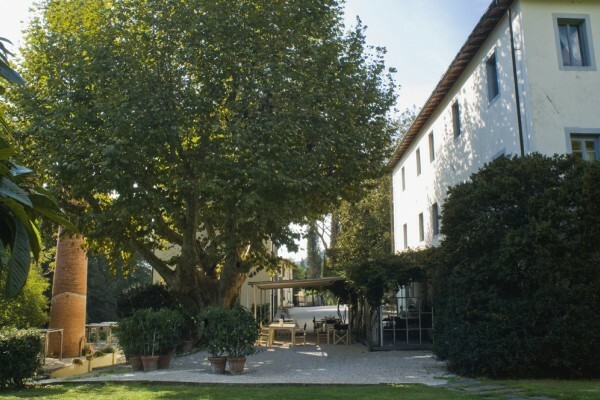 Did you stay in Villa la Bianca? Let us know what you thought about it and help others to make the right choice! * I confirm having stayed in Villa la Bianca. 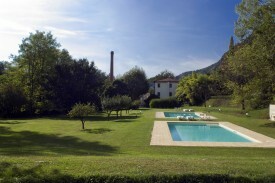 Find other bed & breakfasts in Camaiore or all bed & breakfasts in Tuscany (Florence).